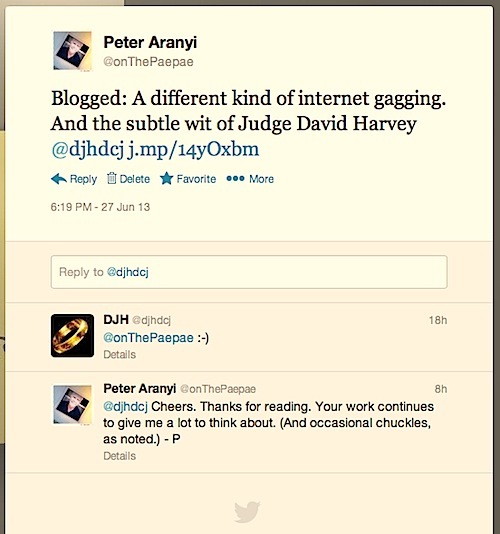 I’ve talked about the work of Judge David Harvey, New Zealand’s ‘internet judge’ quite a bit here on The Paepae. (See these posts.) I admire him. I sometimes read Judge Harvey’s blog The IT Countrey Justice — it can go waaaay over my head, I admit, at times, but I read it now and then. (I don’t think I’m quite his target audience). One judgement Judge Harvey highlighted on his blog recently was P Courtney J’s decision Wishart v Murray — a ruling which has implications for anyone running an online discussion forum or Facebook page (or blog!) that routinely small-P publishes other people’s comments which could be perceived as defamatory. That’s relevant to discussion we’ve had here recently. Obviously. The defendants set up a Facebook page and Twitter account apparently specifically designed to disparage and encourage a boycott of Ian Wishart’s book about Macsyna King (mother of the Kahui twins). A number of extremely negative statements (like, really bad) were [allegedly] made about Ms King and Mr Wishart by the defendants through those platforms, as well as during interviews on RadioLIVE, as promotion for their boycott campaign. Note: Judge Courtney’s decision (there’s a link to it on Harvey’s blog) was on an application to ‘strike out’ Wishart’s statement of claim, NOT the actual defamation proceedings. Defamation actions are typically very expensive, long-winded affairs with much legal argy-bargy. This was just a preliminary skirmish. Well, that didn’t work out too well, did it? As I see it, that (asymmetrical?) ‘blocking’ action denied Team Wishart (him and his supporters) their opportunity to ‘put their side of the story’ and to openly, publicly challenge or correct assertions being made about their competence, character and motivations by third parties — many anonymous — that they naturally took offence to. As I read the judgement, effectively gagging them in that way was perceived as aggravating the grievance. It’s also my habit (as it is others’), to directly address criticisms of myself in other forums where such critique is published, while being mindful of The curse of hypervigilence. My recent posts at the NZConservative and The Leading Edge blogs and elsewhere, where I’ve copped it fairly harshly about my post Is this what we want? Internet ‘take down’ and indefinite gagging orders?, are recent instances of that. You may remember when Judge Harvey withdrew from the Kim Dotcom extradition case because of his pun at Nethui: ‘We have met the enemy and he is US‘. That wasn’t actually Judge Harvey’s tweet, but a ‘Twitter storm’ is how the quip got out. Gah! … It should also be noted that [the applicant] has completed a law degree, passed her professionals and has been admitted as a Barrister and Solicitor of the High Court and as such must be found to be a person of good character. While I certainly don’t question his conclusion in this instance, I did have a wee chuckle, and suggested the use of such bald criteria could be seen as amusing, if you actually know any lawyers socially. Ah, I wondered if that statement about the character of lawyers was meant to be ironic, even if on face value it appeared to say that lawyers were somehow a protected breed. It’s hard to know without having an insight into the person. I’m pretty sure Judge Harvey saves his intentional irony for his tweets, Lucia Maria. I can’t imagine he’d risk placing any deliberate ambiguity in a judicial decision. Although the statement can definitely be defended by His Honour as not in an way ironic whatsoever (hell, the Law Society still considers us to be of good character – how could the Law Society be wrong!?! Are you impugning the Law Society??? 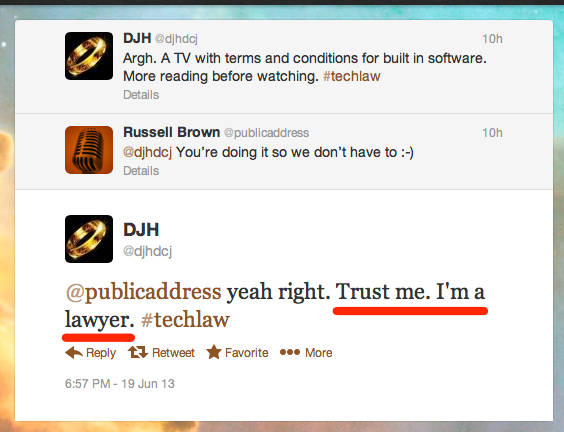 ), I’m sure His Honour indulged himself in a wee chuckle, knowing he could defend his irony! To quote Miss Piggy: “Who? Moi?”. Thanks for highlighting the Wishart case – it had previously escaped my attention (so many things in life to read, but so little time!). In general, I’d have to say that Mr Wishart’s case seems to be somewhat precious. Did he really expect that he’d become a popular fellow by airing for profit Ms King’s story? Reading the judgment (much of it torturous, probably due to the evidently torturous nature of Mr Wishart’s pleadings as a self-represented litigant…), seems to deal with Mr Wishart complaining that Mr Murray a) didn’t think he was very nice individual for parlaying with likes of Ms King in the first place; b) thought he was a cad for offering Ms King money for her story; c) insinuated Mr Wishart’s literary work was rubbish. Which don’t strike me as particularly strong ground for a defamation suit, given that Mr Murray seems to have fairly good grounds for an honest opinion and honest belief defence. (At the risk of being defamatory, I’ve got to say that Mr Wishart’s work has gone downhill since he became a born-again Christian and set about trying to prove that evolution is a liberal conspiracy…). My immediate reaction was that the decision that Mr Murray can be liable for third party postings wasn’t particularly surprising. It seemed self-evident that the moderator of a Facebook page who took active steps to block access and delete content would be found to be responsible for defamatory content that remained on the page. By leaving it up there, they’ve taken responsibility for that content – they bear the consequences. Admittedly, I wasn’t aware of just how divergent some of the international case law was. Those are some wildly differing decisions that are cited! And that raises those nasty little issues about free speech! Should a blogger be forced to undertake research to ensure that every comment made by a third party contains no defamatory research? Or should the legal test be that a blogger has to already know of or be actively alerted to the presence of defamatory material before they’d be considered liable? But what about the main thrust of your post – that gagging (i.e. the blocking of Mr Wishart) may in essence be an aggravating feature? I’m not sure what the Judge means by the reference at para 120 to blocking Wishart and his followers. Is it being suggested that Wishart has a right to access to a third party page, in order to check what’s being published about him? After all, let’s refer to “real world” analogies, such as the old-fashioned notice board – so, Mr Murray has a notice board at the local club that he runs, and starts posting comments about Mr Wishart; other people post notices of their own, attacking Mr Wishart, and Mr Wishart causes a ruckus; at which point Mr Murray trespasses him from the club; would it be considered an aggravating feature that Mr Wishart is no longer able to wander into the club house to see what others have stuck up on the notice board about him? In the context of the case, is Mr Wishart really that impaired that he can’t quickly create a fake Facebook ID in order to check up on the presumably horrible things being said about his personal character and writing skills? Anyhow, a) excuse my long-windedness (it’s a particular fault of mine! ); b) apologies if I’ve let my general dislike of post-“Winebox Enquiry” Wishart colour my interpretation of the Wishart v Murray judgment; and c) as always, my thanks for the opportunity to comment on your blog! Thanks for your comments (and free advice!) Jay. Yes, I see that idea that commenting ability should be disabled if ‘defamatory content *might* appear’ as untenable, with all due respect to Judge Courtney. But that said, I CLOSED a comment thread on the 2012 restraining order application because it go too bruising. From my journalism days, I’ve always regarded the ‘right of reply’ (or right to refute another person’s statements — about you or someone you care about — on the same media platform as they were made) as a safety valve. That only seems fair, and, as you say, espouses a ‘free speech’ value. But speaking as ‘moderator’, it seems to me there is a line, or there should be, where certain types of statement or epithet (thief! liar! 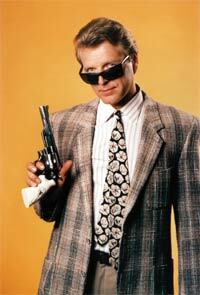 swindler! etc) should just be removed. Differing accounts of contentious events, I think, can safely be left to stand side-by-side … and let readers make their own judgement. In the context of public debate or discussion, sometimes assertions are made that, left to stand unchallenged, could create an impression. That’s why I make an effort to address what I see as ‘incorrect’ assertions about me or my actions when I get a chance. I recommend that approach — bearing in mind the important, but oh-so-often overlooked distinction between evidence and proof. It may sound self-serving to say this, but I always try to be fair and let people respond to what’s said about them (by me or others) if they so choose … so long as they do so without trying to merely assassinate the character of the person telling ‘the other side’ of the story. ” … Mr Wishart complaining that Mr Murray a) didn’t think he was very nice individual for parlaying with likes of Ms King in the first place; b) thought he was a cad for offering Ms King money for her story; c) insinuated Mr Wishart’s literary work was rubbish. Which don’t strike me as particularly strong ground for a defamation suit, given that Mr Murray seems to have fairly good grounds for an honest opinion and honest belief defence. Nicely-put, Jay. Yeah, taking offence is quite different to ‘being defamed’. Good question. Dunno, but gee, it would annoy the hell out of me. I noted the stick you got on various forums when you closed your 2012 thread. Some denizens of the online community slated you as being hypocritical (and still do), given your usual support of freedom of speech as protected by our Bill of Rights. 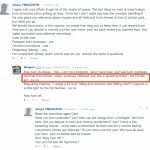 I personally think your policy is admirably fair – when “certain types of statements or epithet” cross a line, they have no right to insist on their views remaining on your blog (their views can always be re-expressed without that offensive and possibly defamatory quality, surely…). At the end of the day, my view is that you are the moderator of this blog and you have the right to insist on a certain quality of language, and indeed the right to protect yourself against legal action such as that taken by Mr Wishart. I agree with you re the right of reply “on the same media platform” as which the statement was made. It seems a basic tenant of fairness that any anyone should be able to face their accuser in that same forum. (It’s always vexed me how TV shows such as Fair Go, Campbell Live, Target, et al, have editorial carte blanche to ruin reputations, but ensure that self-publication of apologies for any of their reputation-ruining mistakes are given but a few seconds of air time…). As you say, differing accounts of contentious events can safely be left to stand side-by-side. It’s something that the Flannagan side of the Flannagan v Sperling seem to have forgotten – that regardless of the emotional battle-lines that some players seem to have drawn, not all of the facts and issues are so cut and dried as to have been resolved by a Court judgment. Thanks for your comments Jay. I appreciate hearing your view. Yes, it’s always struck me as shameful and iniquitous too. Nobody likes being forced to admit they got it wrong, but I sense that the do-the-bare-minimun-we-can-get-away-with approach to apologies and retractions stems from visceral unwillingness on the part of many in the news media (it may even be ‘cultural’) to admit to error. We’ll do it within the family, but most are not so willing to publish a retraction. Why has @TheNBR been so #slippery about their apology to Phil Kitchin and @DomPost? I actually think the lack of ‘balance’ with respect to corrections is one of the factors behind the news media (as a group) routinely ranking in the toilet as far as polls measuring public views of ‘trustworthiness’ show. Down there with politicians. Hi Bevan, yes, thanks for sharing. Judge Harvey certainly has a gift for wry understatement.